Whether you are preparing to move into a new home or to refresh all or part of your current residence, you likely have a vision of how you want the various rooms to look after they are furnished and decorated. In many cases, this could mean that your existing furniture does not fit within your plans and ideas, as it may no longer be the right style, colour, and/or size for its new surroundings; furthermore, a shopping trip (or two) might be in the offing as you search for the ideal furniture pieces to complement your new space or decorating scheme. And, as you have undoubtedly been on a furniture shopping excursion at least once in your lifetime, little prompting would be required to remind you of the feelings of frustration and exasperation that such outings can generate; many furniture shoppers have headed home unsatisfied after long days spent visiting furniture stores across Toronto, later expressing to family members and friends that every outlet seemed to carry the same inventory and that none had furniture that met their specific needs. Feel and Function – with the framework/foundation now in place, the next step will be to choose the type of wood and custom upholstery in terms of colour and, as applicable, fabric and pattern/design. Deciding factors will depend on the answers to such questions as how the furniture will be used (functional or ornamental), how often (daily or special occasions), by whom (adults or children), and by how many people at any given time? Though the initial costs may be higher for custom-built dining room tables or custom-made wood-and-fabric furniture versus the purchase of non-custom inventory, furniture designed and constructed by our artisans in the Carrocel furniture store in Toronto may indeed be the ideal solution for your home. 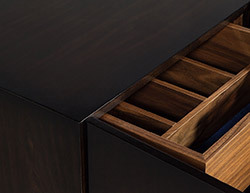 In some cases, you may not be in the market for custom-made furniture for a specific room or space in your home, but you might be captivated by a unique or one-of-a-kind custom piece that complements the current furniture and décor of your home. 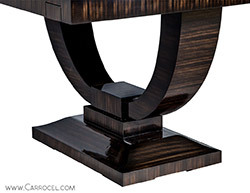 To appeal to these interests, Carrocel offers an inspiring collection of custom and original furniture available for sale in our Toronto showroom. Previews and product information on the collection of custom furniture currently available in our Toronto store is available by visiting our furniture product catalogue page. For additional information on the custom-design furniture services provided by our capable designers and artisans, visit our showroom in Toronto. Looking for the perfect furniture to complement a specific room or rooms in your home? 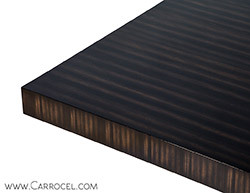 Custom-build furniture by our Carrocel artisans may be the solution. Call the specialists at Carrocel the furniture store in Toronto today at 416-999-2525 or contact us to request a complimentary consultation on our custom furniture services.